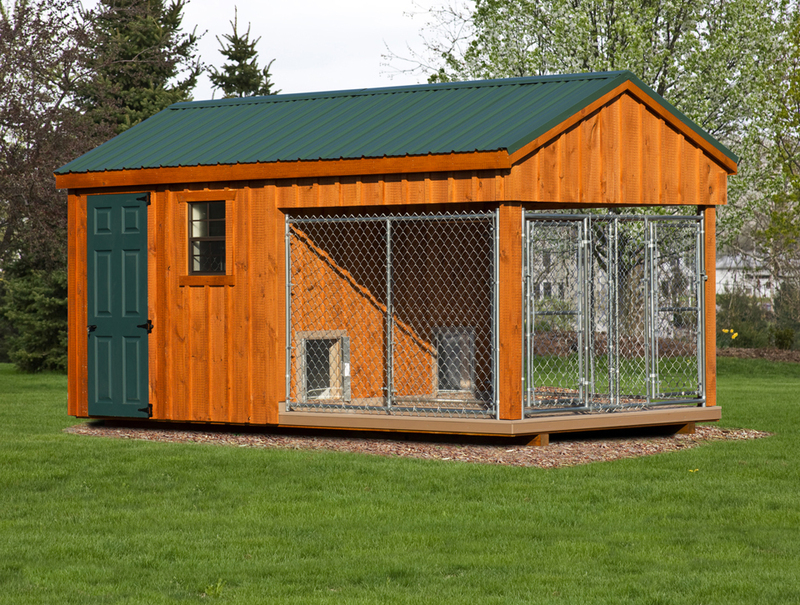 Keep your dog safe, comfortable, and clean in a painted or board and batten kennel. These solid kennels come in a one room 4'x8' model all the way up to a commercial 14'x32' 'Elite' model. Floors in the dog's box have a polyurea coating - the same material used for garage floors and sprayed truck bed liners. 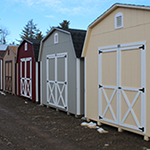 - Available in 3 sidings - Duratemp, board and batten, or tongue and groove. 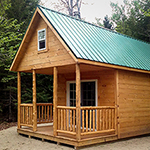 Call one of our experienced sales staff at 207-269-2800 to get more information and a free estimate. Ask us about doing your site prep! 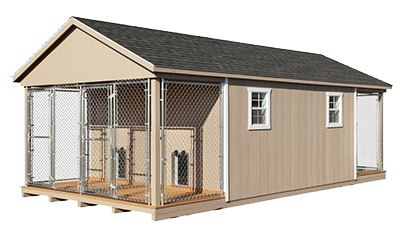 The commercial series dog kennels have all of the standard features plus they have some upgraded ones. 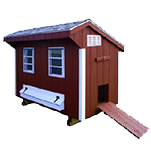 There's more insulation in the walls and floor for your dog's comfort. The windows are larger to let in more daylight plus they come with insulated glass. If you're running a commercial business, you'll appreciate the Trusscore interior and polyurea floor which makes cleanup and sanitizing a breeze.